How Do I Know If My IRA Contributions Are Tax Deductible? If you do participate in an employer-sponsored plan, your contributions still can be fully or partially deductible, up to certain income thresholds. For 2015, those limits are between $61,000 and $71,000 for single filers and $98,000 and $118,000 for married couples filing joint returns. If you are ineligible to make deductible contributions to a traditional IRA, you may want to investigate a Roth IRA. Contributions to a Roth IRA are made with after-tax dollars and are not tax deductible, but distributions are tax free. Be aware that there are income thresholds to contribute to a Roth. For 2015, those limits are between $116,000 and $131,000 for single filers and $183,000 and $193,000 for married couples filing joint returns.You can find more information on the IRS website. Because of the possibility of human or mechanical error by Wealth Management Systems Inc. or its sources, neither Wealth Management Systems Inc. nor its sources guarantees the accuracy, adequacy, completeness or availability of any information and is not responsible for any errors or omissions or for the results obtained from the use of such information. In no event shall Wealth Management Systems Inc. be liable for any indirect, special or consequential damages in connection with subscriber’s or others’ use of the content. Copyright – 2014 Wealth Management Systems Inc. All rights reserved. Phil Ratcliff, President of rebel Financial, is a senior financial advisor that holds an AIF®, CFP®, ChFC®, and CLU® certifications. He started his career at American Express Financial Advisors in 2003, then moved to AXA Advisors for 7 years before founding rebel Financial LLC in 2013. Click the image to join our Kiva team and help fight poverty one loan at a time. 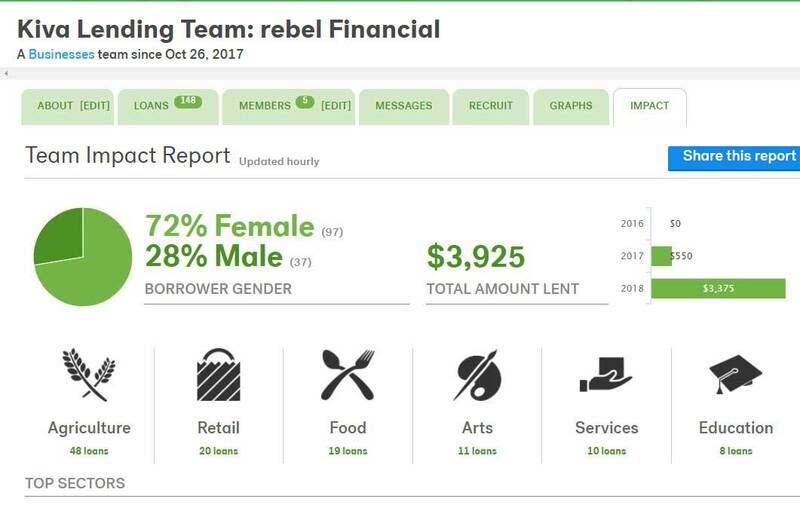 rebel Financial is a leading Columbus financial advisor on NestEggZone.com! rebel Financial is a Registered Investment Advisor that provides retirement planning, estate planning, financial planning and investment management services to individual and institutional clients. A more detailed description of the company, its management and practices are contained in its Firm Brochure (Form ADV, Part2A).